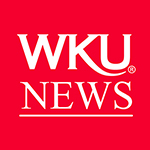 WKU students received numerous awards last weekend in competitions sponsored by the Kentucky Press Association, Kentucky Intercollegiate Press Association and Kentucky News Photographer Association. In the KNPA competition, Brynn Anderson received the 2011 Ed Reinke Memorial Best of Show for her feature picture story while David Kasnic received the Judges Award for his portfolio. In the student division, Armando Sanchez won Student Photographer of the Year while Anderson was runner-up. In the KPA competition’s University division, the College Heights Herald finished second in the General Excellence competition. Attending the KPA/KIPA conventions from the Herald staff were Cole Claybourn, editor; Tessa Duvall, managing editor; Brad Stephens, sports editor; Emily Patton, features editor; fall editor Jonathan Lintner; and reporters Spencer Jenkins, Michael McKay and Natalie Hayden. Bob Adams, Student Publications director, Herald adviser and member of the KPA Board for 2012, also attended. Awards were presented Jan. 20-21 in Lexington. Alyssa Orr, Albany, N.Y., senior: first place, best spot news picture. Christian Randolph, Oxnard, Calif., senior: third, best sports picture. Rialda Zukic, Bowling Green senior: second, news story. Brad Stephens, Winchester junior: honorable mention, sports feature; first, sports news story. 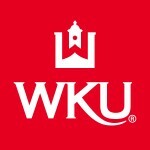 WKU students won 55 of the 59 awards presented in the student division. WKU photojournalism faculty also were honored: Jeanie Adams-Smith, second place in multimedia; Tim Broekema, two honorable mentions in multimedia; and James Kenney, second place in pictorial and honorable mention in feature. Contact: School of Journalism & Broadcasting, (270) 745-4144.